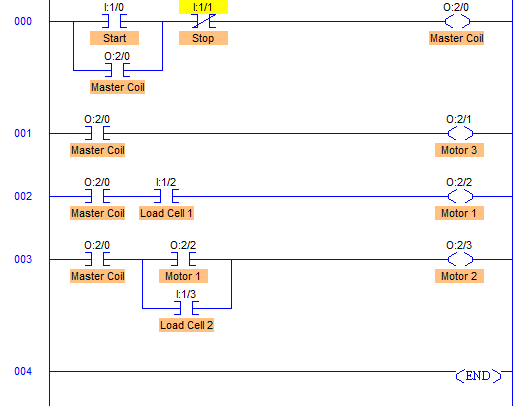 This is a PLC Program to Control the Sequence of Conveyors and Interlocking Them. Feeder has a motor mounted to feed material on conveyor belts. Load cells are installed at the bottom of conveyor belts to detect if material is present on the conveyor belt. When material falls on conveyor belt 1, motor 1 should start, and when material in present on conveyor belt 2, motor 2 remain On. Switches can also be used sometimes to detect material’s presence. 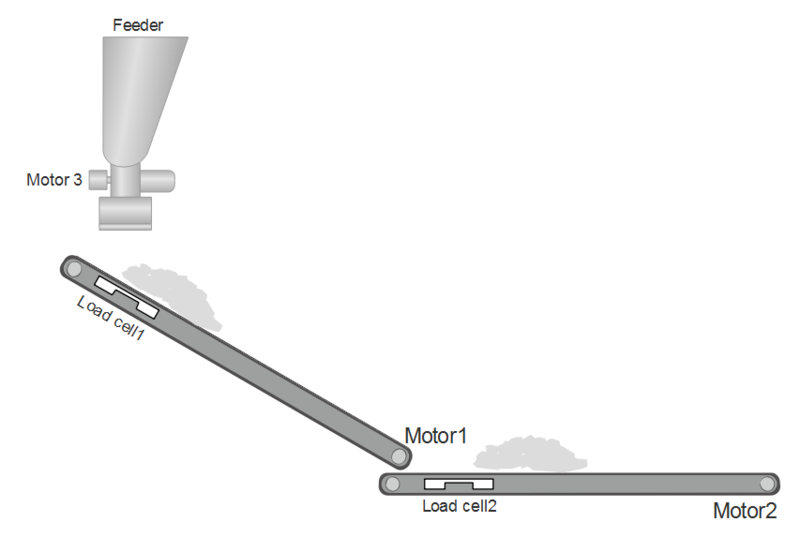 But for more reliable operation, Load cells can be used as shown in the diagram above. 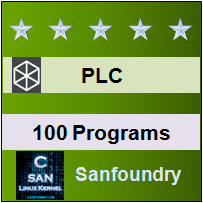 Here is PLC program to Control the Sequence of Conveyors and Interlocking Them, along with program explanation and run time test cases. RUNG000 is for Master Start/Stop the process. RUNG001 is to operate feeder with output address O:2/0 which is operated when Start PB is pressed. RUNG002 is to operate Motor 1 of Conveyor 1 which is operated when Load cell 1 detects the presence of material. As long as material is on the conveyor, Motor 1 remains energized. RUNG003 is to operate Motor 2 of Conveyor 2 O:2/3 which is operated whenever Motor 1 is ON AND/OR as long as material is presence on the conveyor 2 which is detected by Load cell 2 (I:1/3).